I just realized that I never posted the summer squash recipes I promised you a week or so ago. I meant to take photos, write something about them, and…well, you get the point. Nonetheless, considering that I can’t go back in time, I’ll just provide the links to my winning summer squash meals last week. Their photos are better anyway! 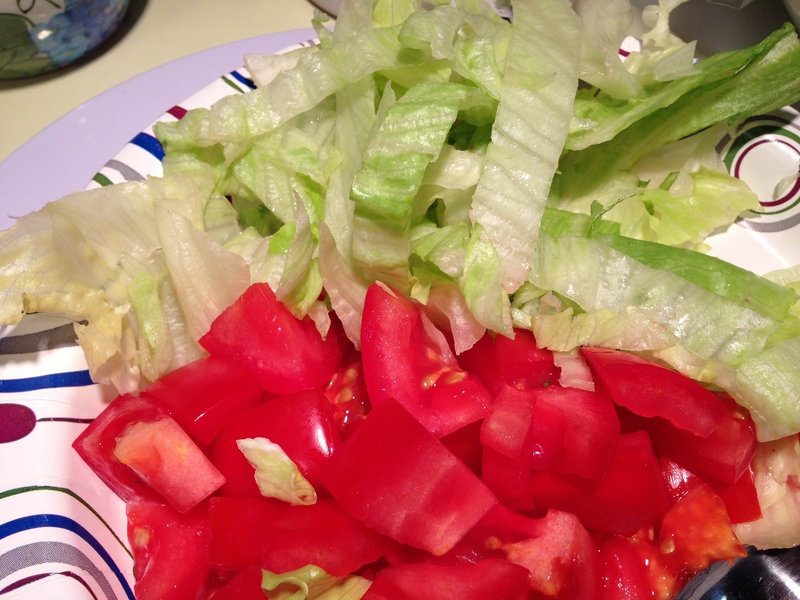 Caveat to the Garden Salad: A friend of mine made it the other day and said that everyone should make time for some major chopping. I never include that kind of info because chopping is like therapy for me, so I rarely notice extensive chopping issues, but I’m so thankful she brought it to my attention. Bottom line? Reserve some time for chopping and meditate your way through because this dish is definitely worth it! What does any of this have to do with the Greek Meatballs? Absolutely nothing. Let’s move on, shall we? First up? 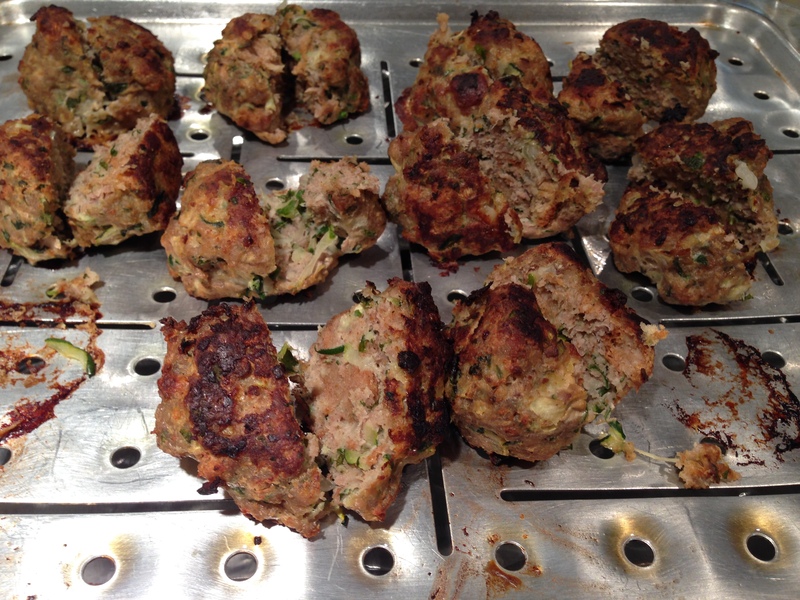 Turkey meatballs. These were a tad too big (clearly I didn’t follow the measurements Gina provided), so I decided to cut them in half. My pita only had 1.5 meatballs, which I’m saying was about 4 points. The original recipe stated that 4 meatballs = 6 points, so I’m doing my best guess at what 1.5 would be! The trick I used was to load the rest of the pita up with some free items: Lettuce and Tomato! 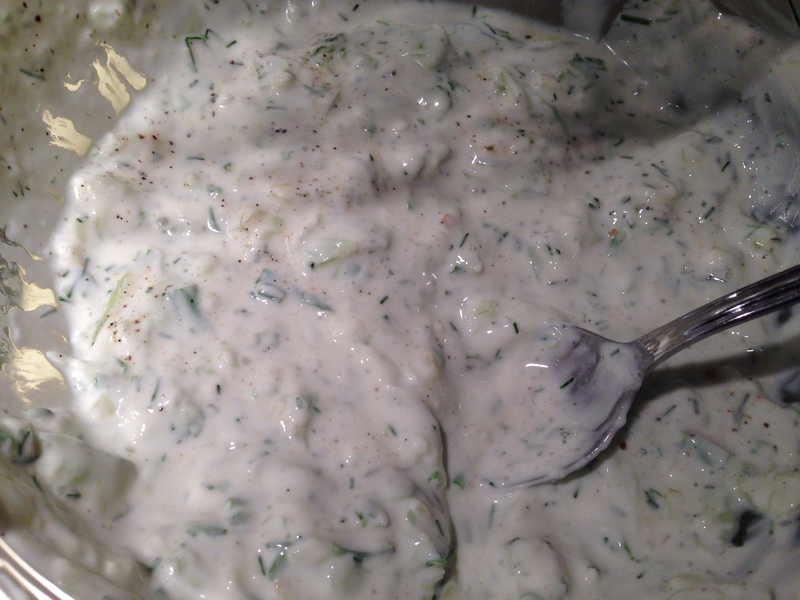 I also made some of Gina’s Skinny Tzatziki, which I really liked! 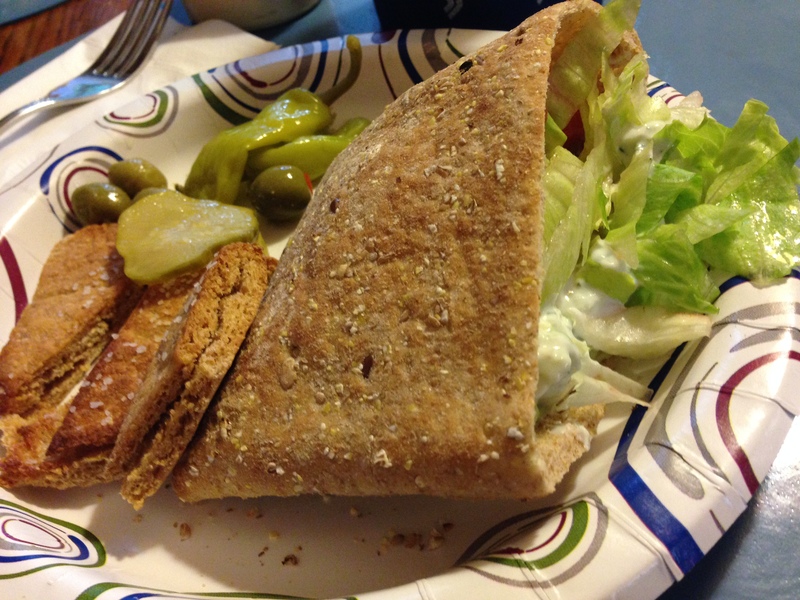 It made a great dressing for the pita and it had ZERO points. Hallelujah. 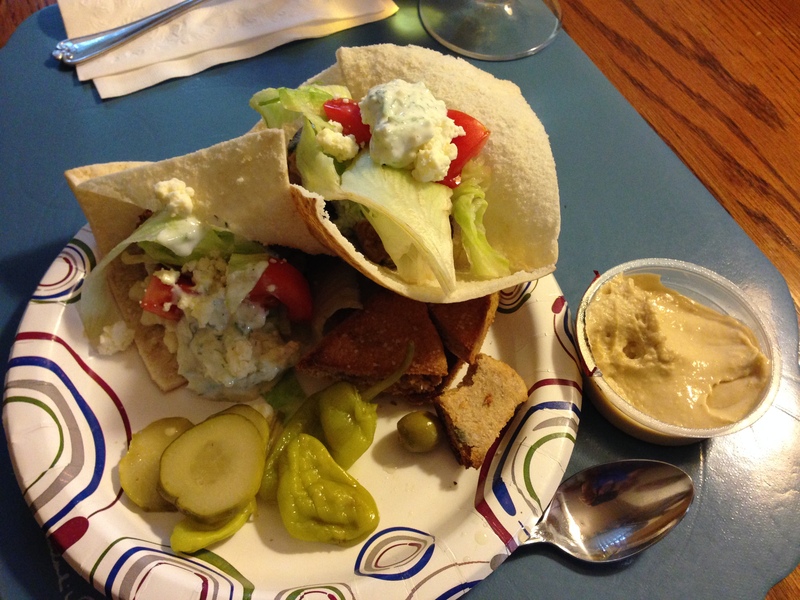 I served this dish with a small container (2 oz) of Sabra Hummus and baked pita chips. If you choose to do the same, just note that the hummus (yes, only 2 oz) has 4 points and the pita chips have extra points too. Skipping those extra points? Just add some pickles and peppers on the side for ZERO points. Olives have points too, so be careful with those bad boys. So does feta, so just use a sprinkle or two. And yes, I had some of the pita chips and hummus. My weekly points took a little hit that night, but I felt fine about it. In other words, Mama was hungry. The next night, I decided to make a big salad with Tzatziki dressing to accompany my leftover meatballs. As for me, I haven’t lost any additional weight — just been maintaining around the 25 lb mark. I’m okay with that right now because I know what faces me: Tomatoes from the garden which equates to Tomato Sandwiches on white bread (gasp!) with Mayonnaise. Then there’s the bacon, boiled peanuts, homemade ice cream, and everything else that comes with Summer. On a milestone note, I just completed my FOURTH walk of this week. My goal is to get to SEVEN walks total! Surely that will give me a boiled peanut allowance! Finally, I’ve been so encouraged to hear that some of my friends have jumped on the Weight Watchers train and having great success. Y’all are inspiring me, so thanks for sharing with me as you go!